A recent article in the Seattle P-I reported that the National Traffic Safety Board had blasted Washington's DUI laws as “not up to the task” of cracking down on drunk driving.Specifically they blasted the State for not allowing police to allow sobriety check points, more commonly known as roadblocks, and for allowing plea bargaining for first-time DUI defendants. This article was followed the next day with an editorial in the P-I referring to the state as “a laggard” in DUI enforcement, citing the same two issues.Nothing could be further from the truth. It is an historical fact of political life that government looks for the easy fix, one that will provoke publicity, but that reflects only superficial understanding of the issues involved.I have been fortunate to have participated in numerous committees over the past two decades that have considered multiple approaches to DUI enforcement and know firsthand the careful consideration that has been given to our statutory scheme and the tough philosophical policy that it reflects.I further understand the extent to which the legislative committees attempted to assure that the legislative scheme make the most responsible use of the fiscal implications created by the legislation. And as one who has traveled all over the country lecturing other lawyers on how to defend DUI cases I can attest that we are considered to have one of the toughest DUI statutory schemes in the country. The two areas targeted by the Traffic Safety Board and the P-I exemplify the shortsightedness of those who truly do not understand the complexities of a comprehensive legislative enforcement scheme. The roadblock issue is a prime example.While the P-I acknowledged it, the Traffic Safety Board ignores the fact that roadblocks are illegal in Washington, not by an act of the legislature but as a result of a landmark decision of the Washington Supreme Court in Seattle v. Messiani, in 1988.The Court held that roadblocks involve an intrusion of every citizen's right to be free to travel without interference by law enforcement unless the officer has a reasonable basis to believe that the driver or an occupant of the car has committed some violation of the law.That's the legal reason why roadblocks are illegal. But on a more practical level, our state has learned that emphasis patrols targeting suspected DUI drivers are equally, if not more effective.Picture a roadblock, if you will. Anywhere from six to twelve police officers, and their patrol vehicles, are stationed at a stop where every driver is screened for alcohol consumption.If the driver has been drinking, they will be asked to submit to field sobriety testing, and are turned over to a second officer for that purpose. And it continues for the duration of the checkpoint.The vast majority of the drivers, of course, have not even been drinking, and the vast majority of those that have been are not under the influence.Statistically, less than one driver in 20 will be processed. In the meantime, how many highly intoxicated drivers are on the road elsewhere, or have circumvented the checkpoint for any number of reasons?What is the effectiveness of the enforcement dollar of processing a “drinking” driver (in contrast to arresting a “drunk” driver)? 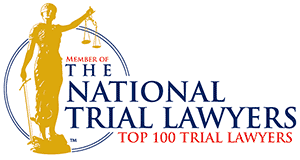 Again, in my travel around the country I have been told by numerous DUI defense lawyers from roadblock states that those cases are the easiest to defend, since evidence of impaired driving is often the most important piece of evidence that can be used against a DUI defendant. The issue of plea bargaining first time offenders is even more complex.Simply put, there are only so many resources that can be allocated to a criminal justice system that already receives more of our tax dollars than any other segment of government.However layoffs have been adversely affecting the court system for several years, predating the country's economic meltdown, and forcing reductions in police departments, prosecutor's offices, public defender offices and among court staff.Simply put, the court system is incapable of dealing with every DUI through litigation and if required would result in countless cases being dismissed outright for speedy trial violations. But the greatest fallacy in a “no plea bargaining” policy is that it ignores the fact that many DUI cases are either not provable at trial, or sufficiently weak so as to make it likely that there will be a defense verdict.Additionally, prosecutors have an ethical obligation not to prosecute unless they have a good faith belief in the truth of the charge.Frequently, the defense is able to present the prosecutor with evidence unknown to the police or prosecutor at the time the charge that was filed that bring into play that ethical obligation. And what of those very close cases where the prosecutor doubts their ability to prove the case beyond a reasonable doubt?Wouldn't the DUI crackdown be better served by a plea bargain in which there is some accountability on the defendant, and even some control over his or her conduct for a period of time, than for the government to waste its strained resources on a prosecution that will likely be unsuccessful? I am not suggesting that our DUI enforcement is perfect and cannot be improved.However high visibility fixes that sound tough are not the answer where, in reality they weaken a system that is already effective.